Integral mission thus encapsulates a way of perceiving and living out a missional role in the world as disciples of Christ. - Missionary: refers to people engaged in mission. Integral Mission requires being rooted in the Gospel through the power of the Spirit and will reflect certain characteristics that together contribute to holistic transformation in society / in our community. Integral mission or holistic transformation is the proclamation and demonstration of the gospel. It is not simply that evangelism and social involvement are to be done alongside each other. 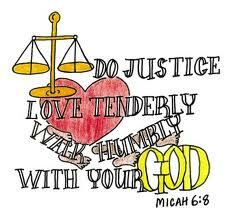 Rather, in integral mission our proclamation has social consequences as we call people to love and repentance in all areas of life and our social involvement has evangelistic consequences as we bear witness to the transforming grace of Jesus Christ. This extract from our Micah Declaration on Integral Mission has been extremely helpful in promoting an integral approach to mission. However, it has also tended to be read in a dualistic way. See Vinoth Ramachandra’s description of Integral Mission which alerts us to the danger of seeing integral mission as a set of activities (doing evangelism or doing good works). The focus should not be an either or, but rather we should focus on what we as the church are called to be in our community, in our society, in our world. We are called to be the salt of the earth and the light of the world and we are tasked to make disciples of all nations. This task includes baptising disciples and teaching them to obey everything that Jesus has commanded. In 5 weeks we shall gather together (physically for those who are able to come and spiritually for all who are not able to be there face to face but are joining in) in Thun, Switzerland to explore what characteristics are to be evident and are to be given priority, if we are to see grass root impact (transformation) in our communities. Each week in our prayer focus we will explore some of these characteristics and reflect before God if they are indeed evident in our lives, in our local church, in the organisations in which we serve. What theological priorities do we need to focus on to reflect transformation in our own lives and that of the local church, as well as transformation of the community in which we serve? 1. Spirit Led: please prayerfully seek God’s guidance of all our preparation, consultation and conclusions for this Global Consultation. Speakers and facilitators: that as they spend time before God preparing the material to be shared that they would hear from God and be able to with integrity reflect this to us. Administration and management: that all who are involved in each aspect of preparation and managing the consultation that we would be able discern how to proceed, coordinate and serve all who will participate, both those who will, be present and those who are not. 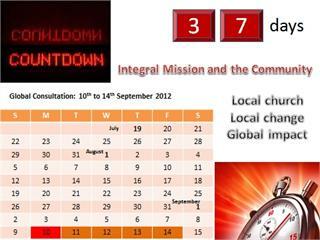 International Board: that as they meet before the Consultation God would guide their preparation and discussions. Participants: that each person would give adequate time and attention to preparing themselves to participate with their experiences, testimonies and learning. 2. Visas and Travel: please pray for the immense struggle we are all experiencing in acquiring the visa to attend this Consultation. For every person faced with the daunting challenge of meeting the requirements posed by the Swiss authorities that they would see each Embassy / Consulate encounter as an opportunity to reflect the values of God’s Kingdom. God we cry out to you for help to overcome the barriers that seem to be placed before us to get these visas through. We confess our own failings in not anticipating sufficiently in advance this demanding process. We ask that you would give us due diligence to faithfully and correctly complete the forms and requirements to the best of our abilities, knowing that the goal is the fellowship and opportunity to discuss pressing issues together. We pray for each Embassy / Consulate and the staff who process our documents that they would judge fairly and with sensitivity each application in a timely and appropriate manner. Lord we ask that we would bless them as we also seek to bless Switzerland during our engagement in this nation. Micah Network staff team as they seek to serve each participant through this process. With over 200 visas being processed the work load is so much higher than we anticipated and we seek to be able wisely prioritise and efficiently serve so as to ensure maximum number (our goal is ambitiously all) who have faithfully applied will be granted a visa. Appeals: we are currently processing a further 5 appeals for visas that have been denied. Please pray for a breakthrough. We seek a member who is willing to host and help with facilitation in the country where the Consultation could be held. TearFund Schweiz (Switzerland) offered to be our host. Why? They sought to serve us and they especially wanted to be able to draw the Swiss church into an understanding and practice of integral mission. Costly: we knew Switzerland was one of the most expensive countries in Europe, but also saw this as an opportunity to raise the awareness of poverty globally to the Swiss Christians and invite their participation in response. The response to date has been astounding. Over 119 families have opened their homes to participants and volunteers have offered themselves to serve us throughout the preparation and week so as to reduce costs and to share in vision. Pray for each home that has been opened to us that the interaction will have a lifelong positive impact of both the family and the participants staying with them. Pray for the logistics team as they work out room allocation and transfer. Pray for wisdom and effectiveness so that all who attend will be well served and cared for. Pray for those involved that God would give them the strength and energy and inspiration to do this amazing work. Pray for TearFudn Schweiz as they carry their normal workload and the extra work load of hosting the Consultation. Pray that God would be their strength and inspiration. Pray a special blessing on them for this amazing servant hearted approach they show. 15 participants who could do with help in covering flight and consultation costs. 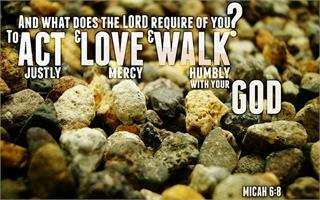 Lord we want to follow you and serve in diligence and in love. We ask that you would cover this Consultation with your presence and protection and we seek your Word and direction. Come Lord Jesus. 1. Syria: the outcry of pain, death and destruction for this broken nation continues to increase. Let’s prayer for God’s love and mercy for the people of Syria. Pray that all those who are trapped and caught up in this civil war. Pray for access to essential health care food, water and shelter. 2. IAS staff being held: continue to pray for the two IAS staff kidnapped in Somalia last month. Pray that they would know God’s presence and comfort and that they would be released soon. Remember their families and their kidnappers – pray that God would draw close to both and reveal himself. 3. Kurkura Wafo: from Ethiopia as he continues his radio therapy. We invite you to set aside a day a week to fast and pray with us. Please send through any words or thoughts, Scripture and or prayer points you would like to share or raise in the Focus.